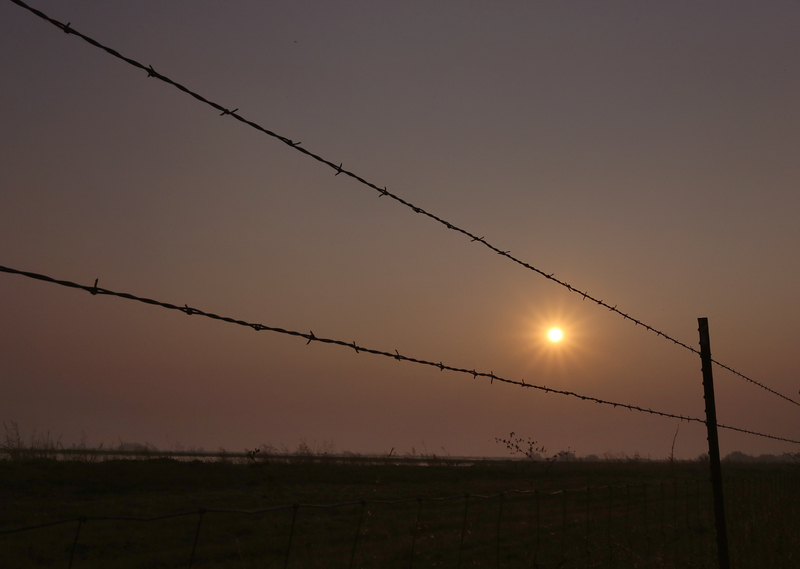 Smoke from the devastating Camp Fire that burned through the city of Paradise in Northern California has left much of the Central Valley blanketed in a layer of smoke and haze. 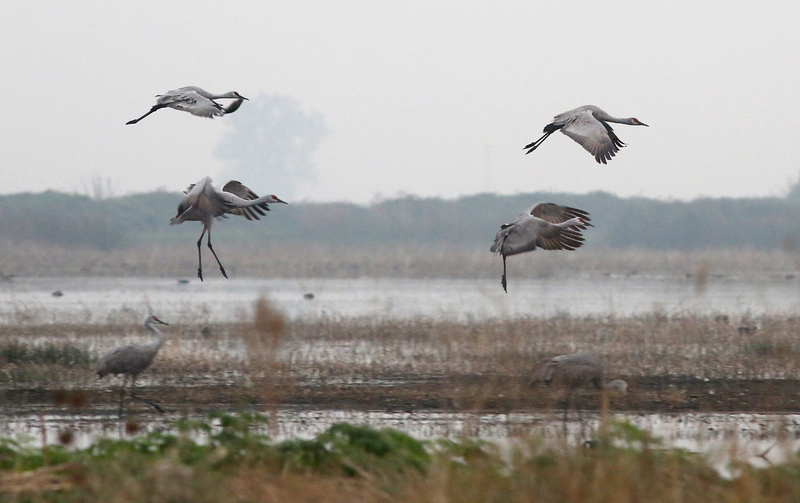 I set out to see how the sandhill cranes would be affected if at all by the smoke. 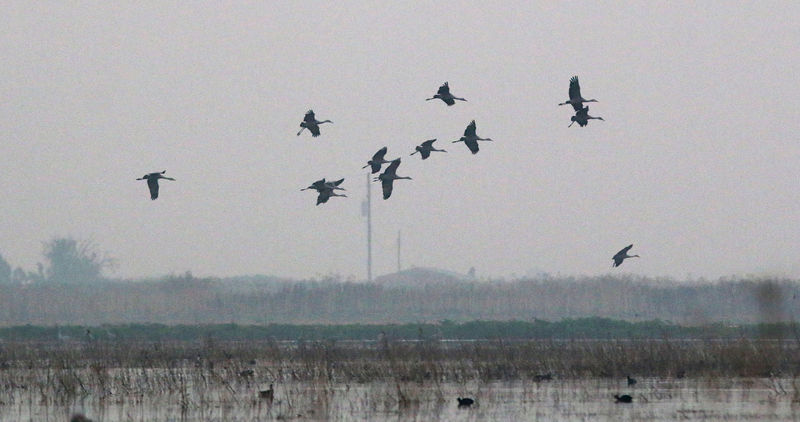 Arriving at the wetlands with a bout an hour to go before sunset the first think i noticed was the haze stretching toward the horizon. 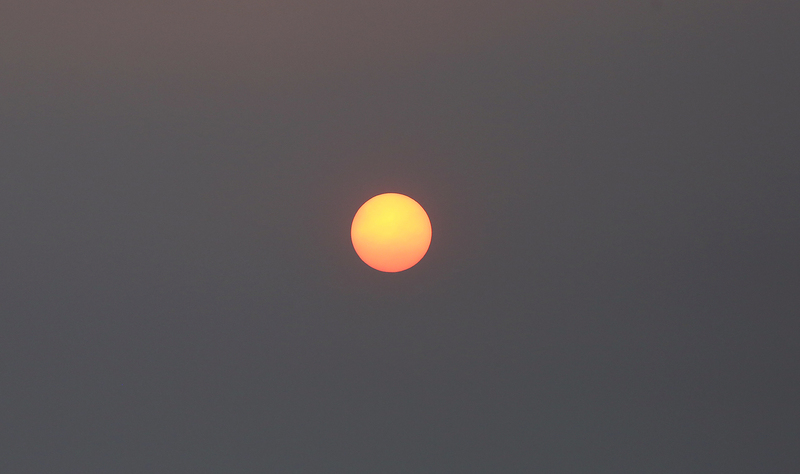 Looking like a layer of fog the smoke cast a pall on the setting sun. 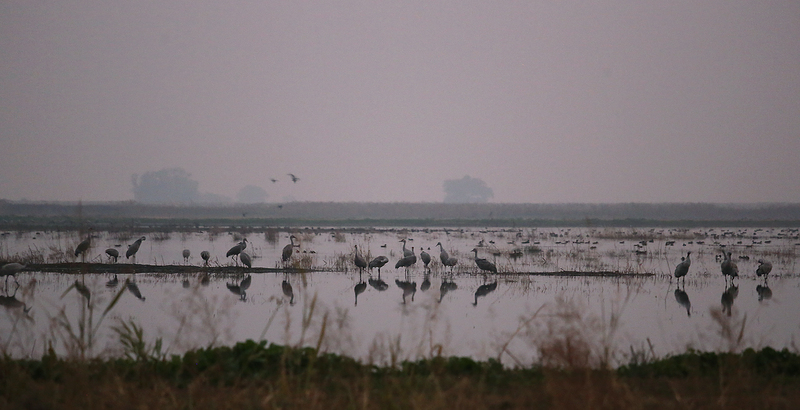 Colors across the landscape were tinged a weak amber as the sun fought through the layers of smoke. 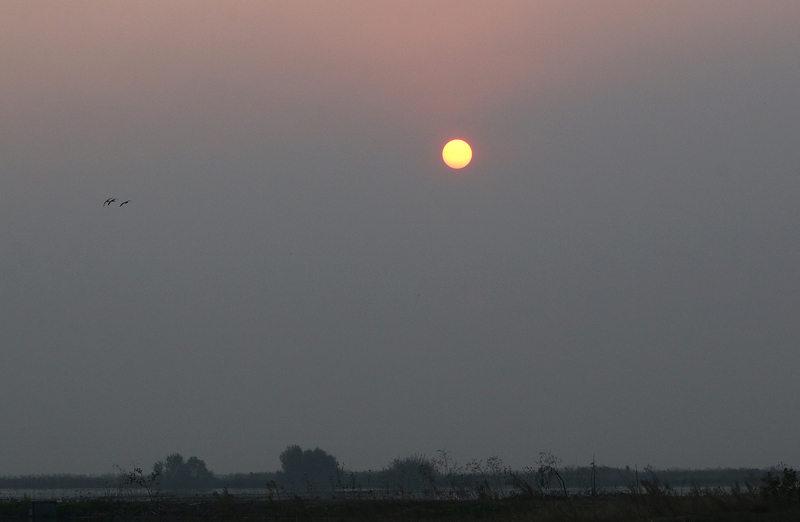 The sun itself was dim orange disk as it dipped toward the horizon. 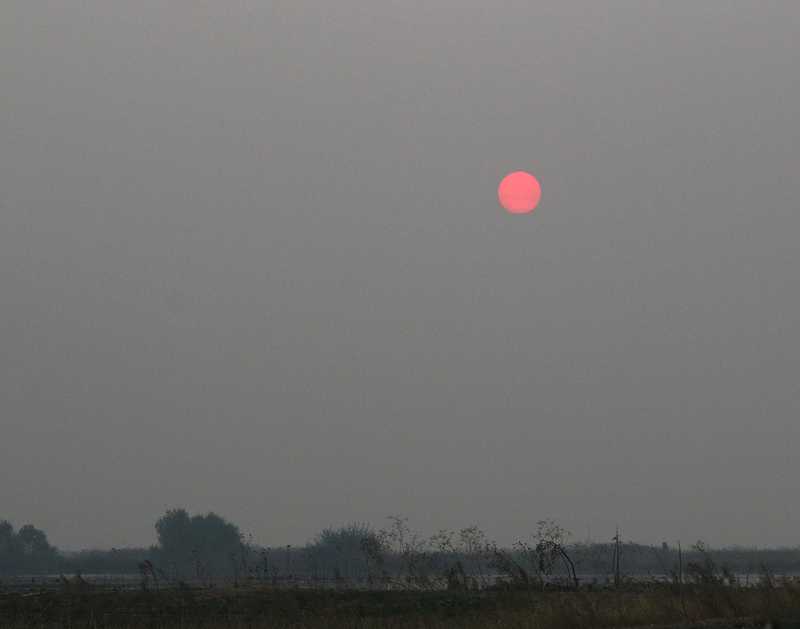 With about half an hour to sunset the smoke obscured the sun completely as a gray pall replaced the sunset hues. 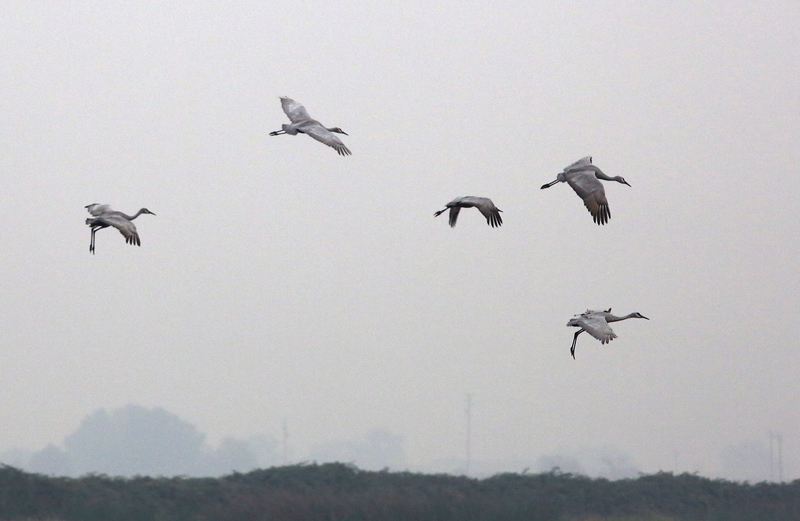 Off in the distance I could hear the cranes trumpet and then suddenly their bodies would appear through the smoke. 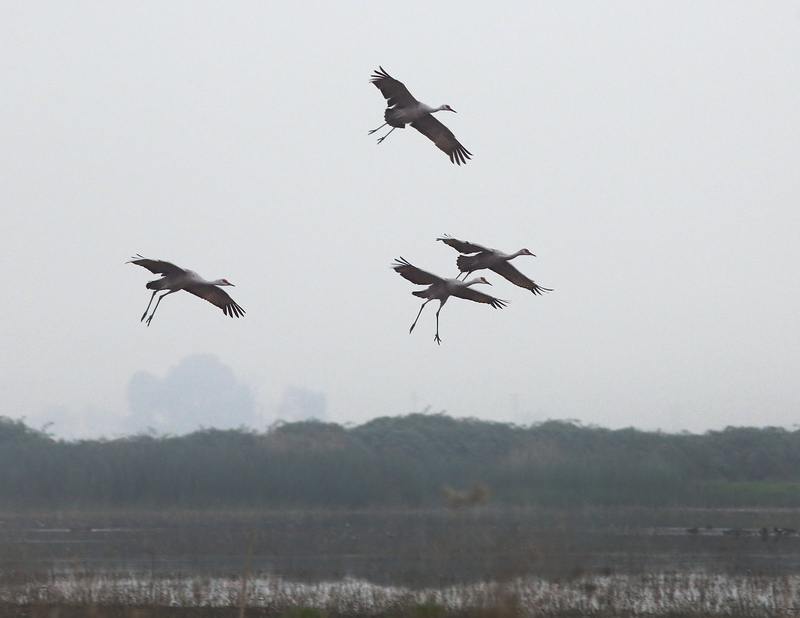 It was like photographing in an early morning fog but the smoke seemed to drain the colors for the sky and sunset. 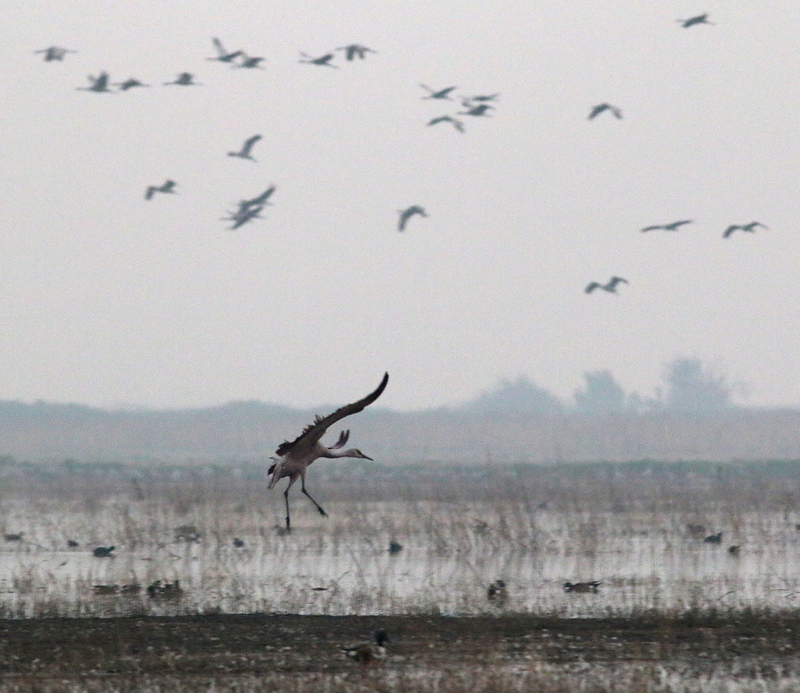 After a while standing in the haze I could feel the smoke begin to sting my eyes as the smoke settled for the evening. 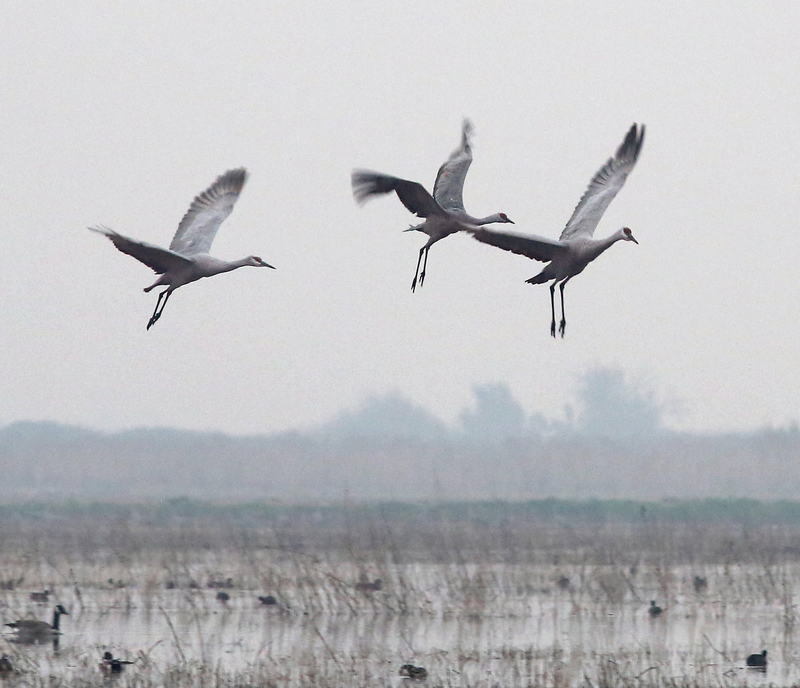 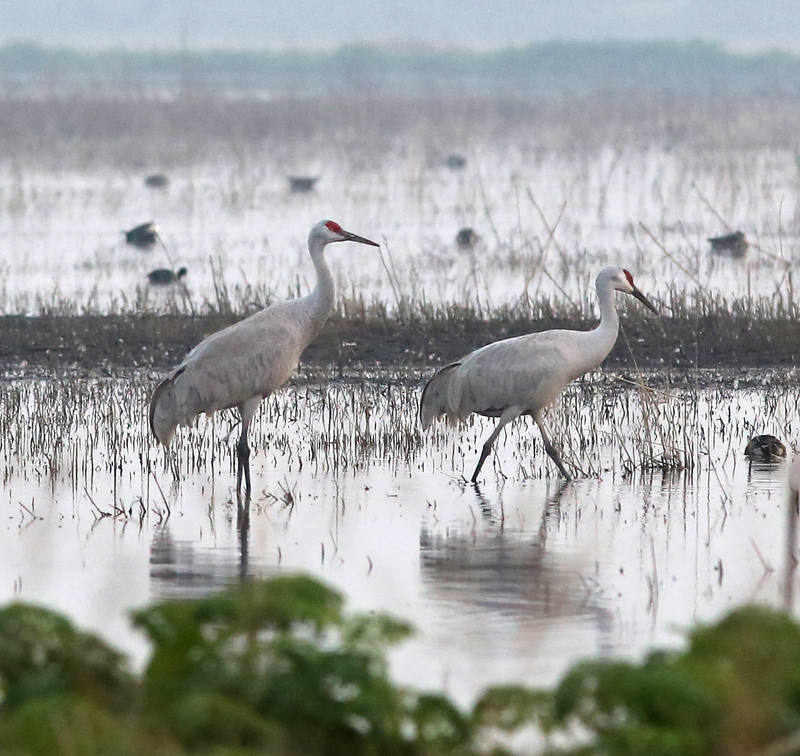 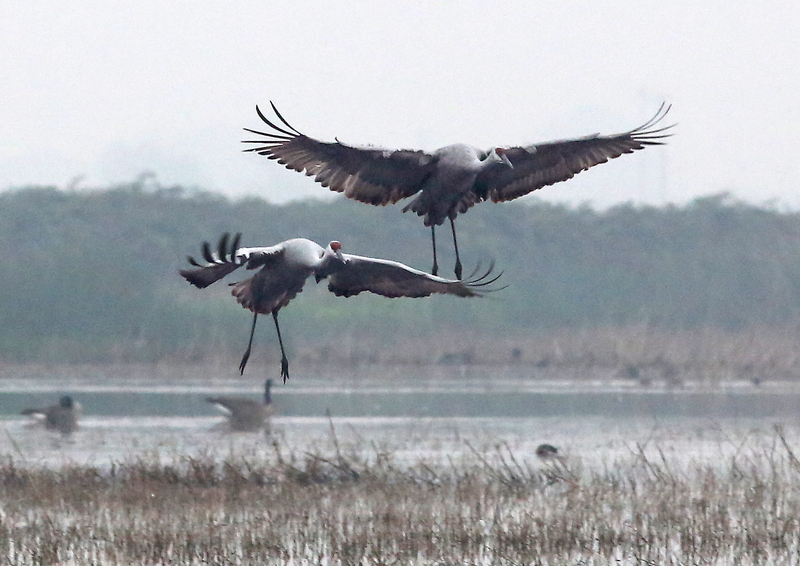 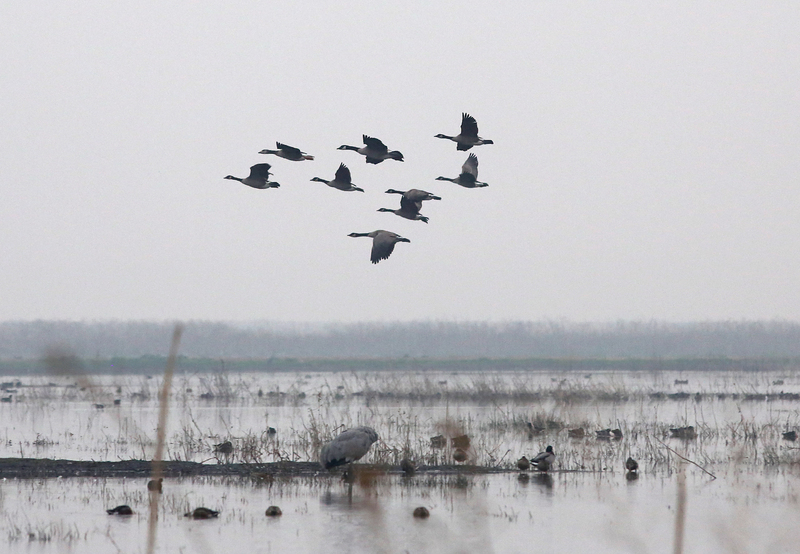 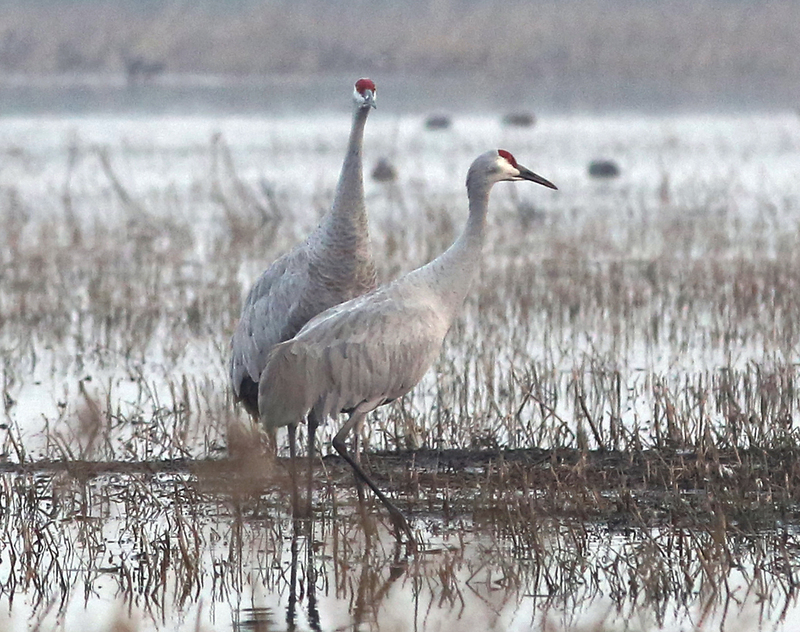 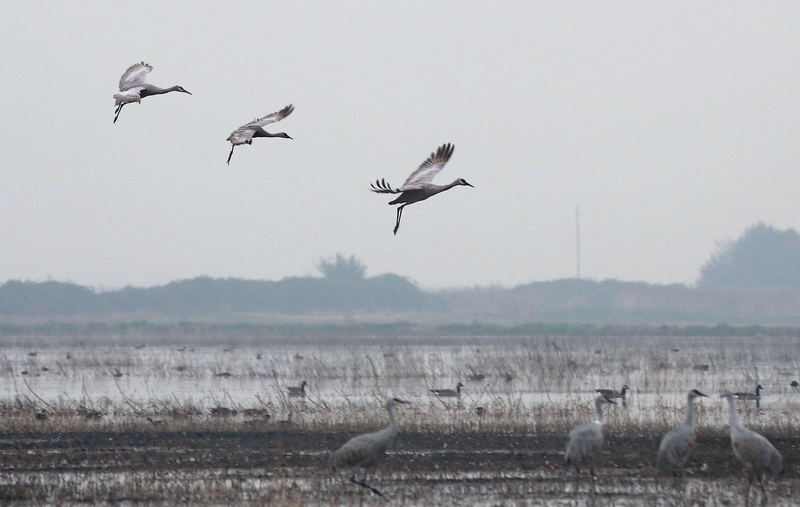 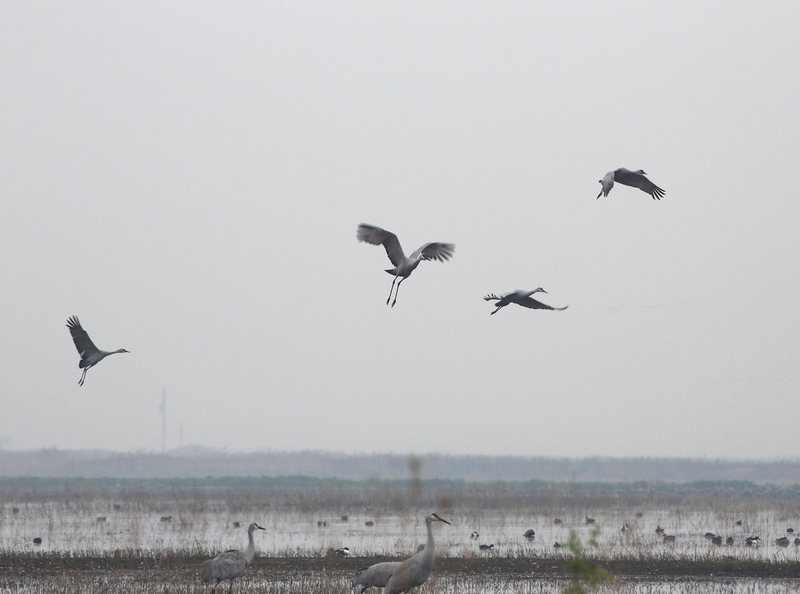 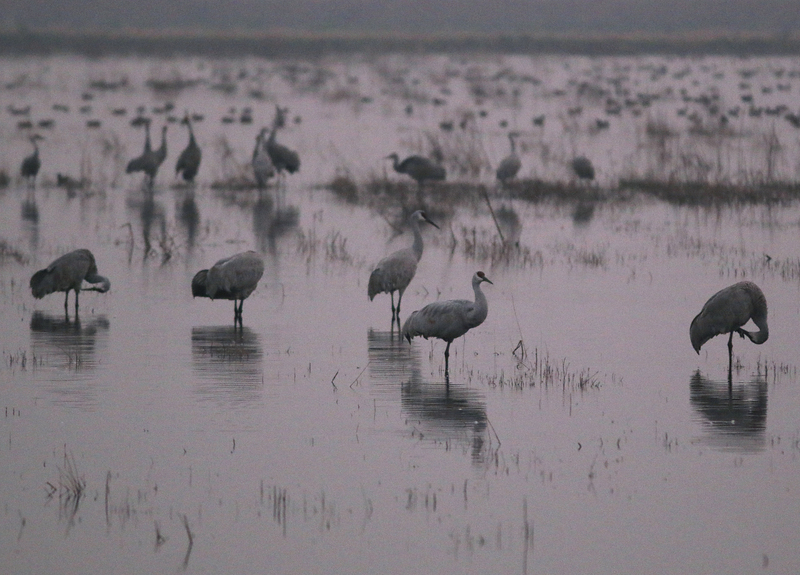 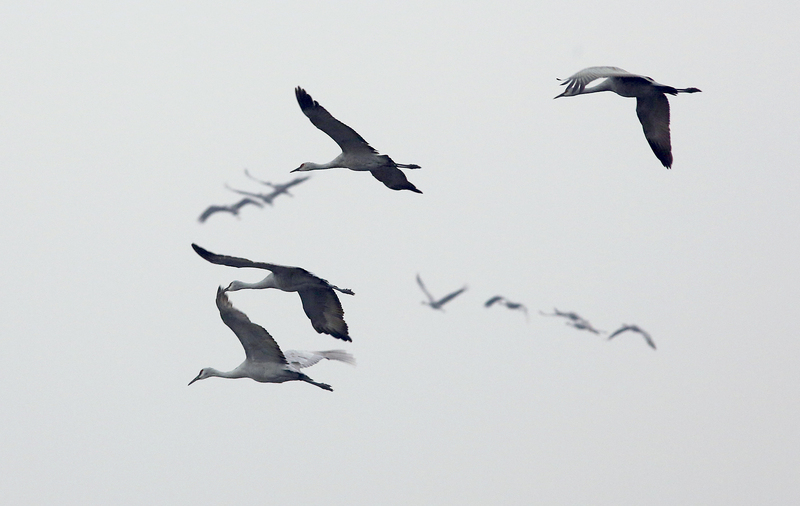 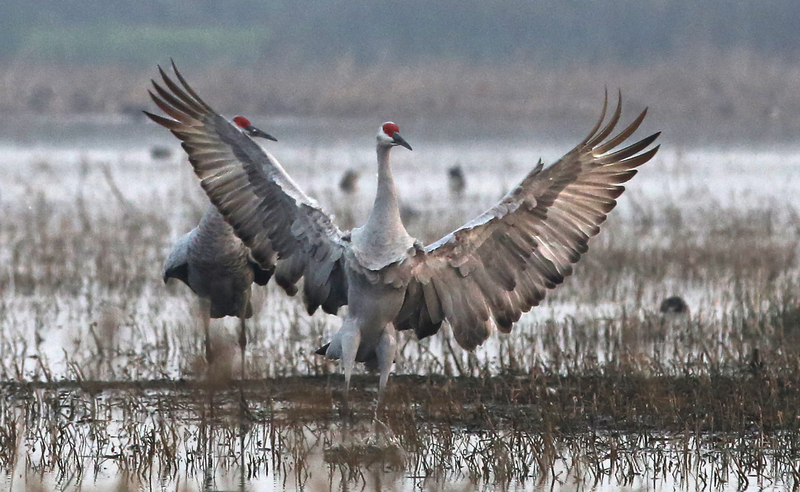 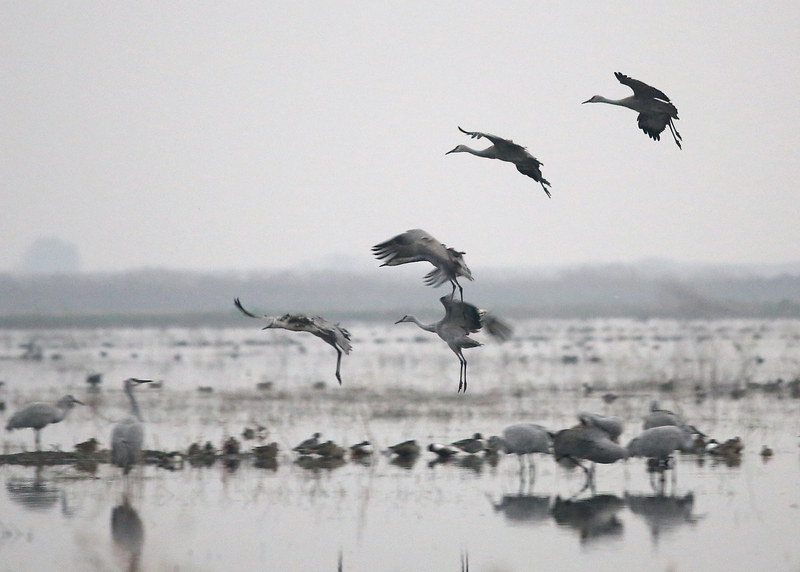 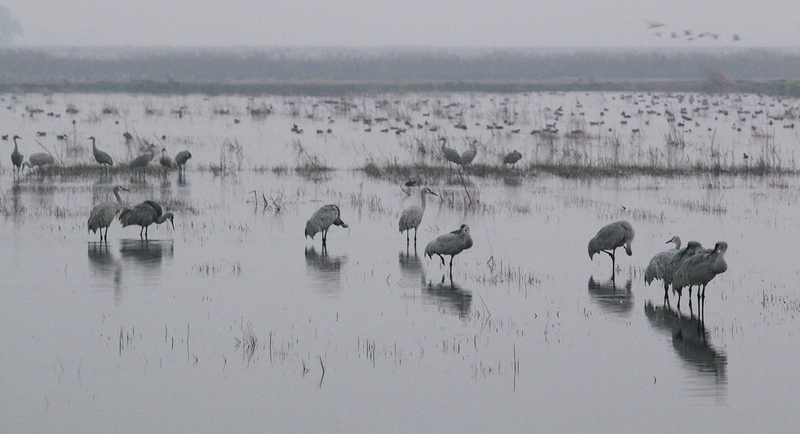 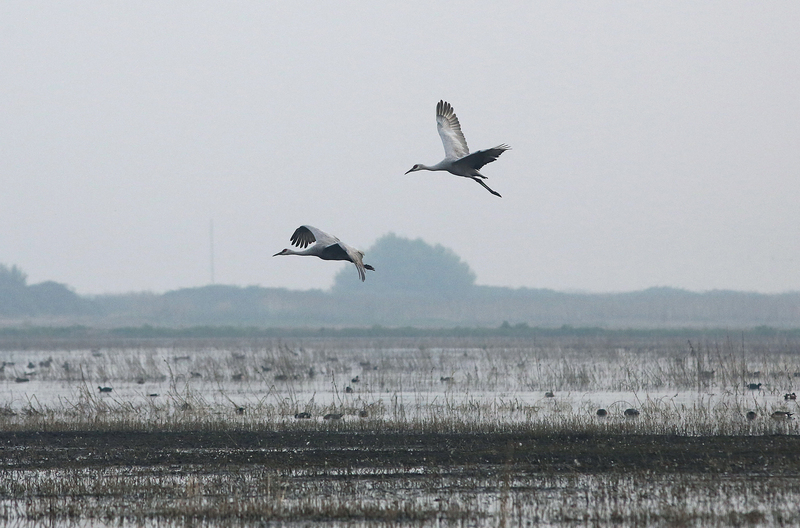 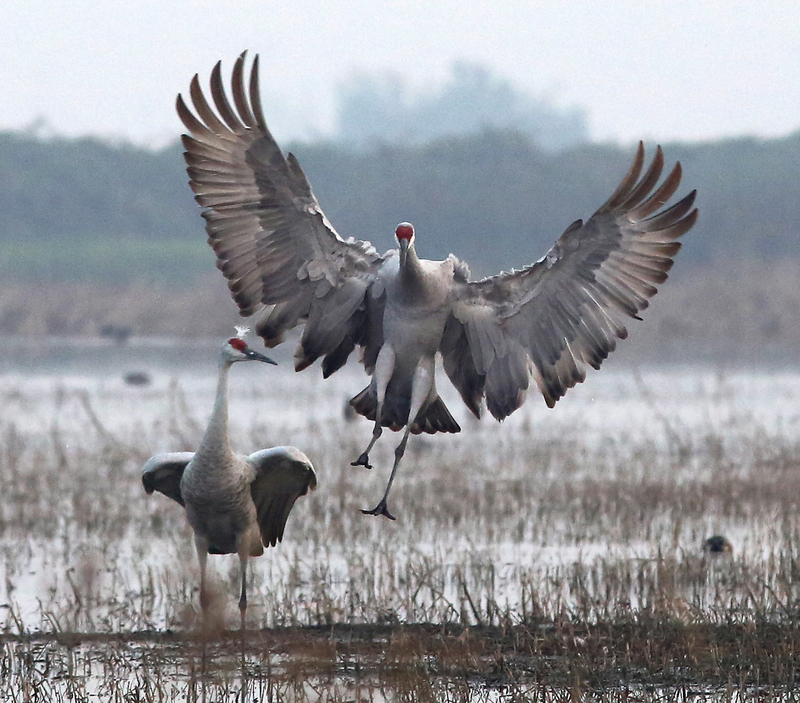 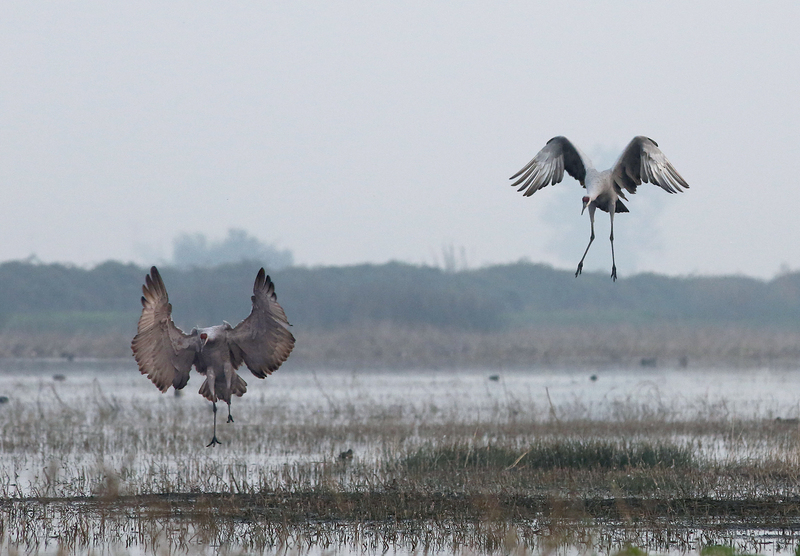 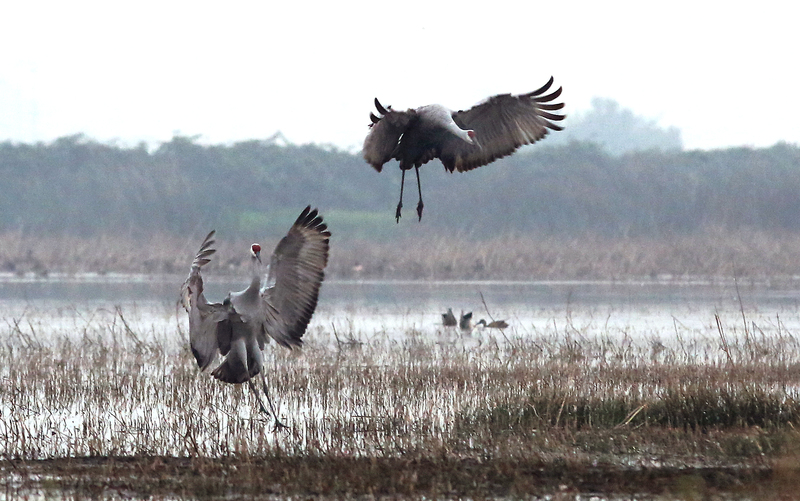 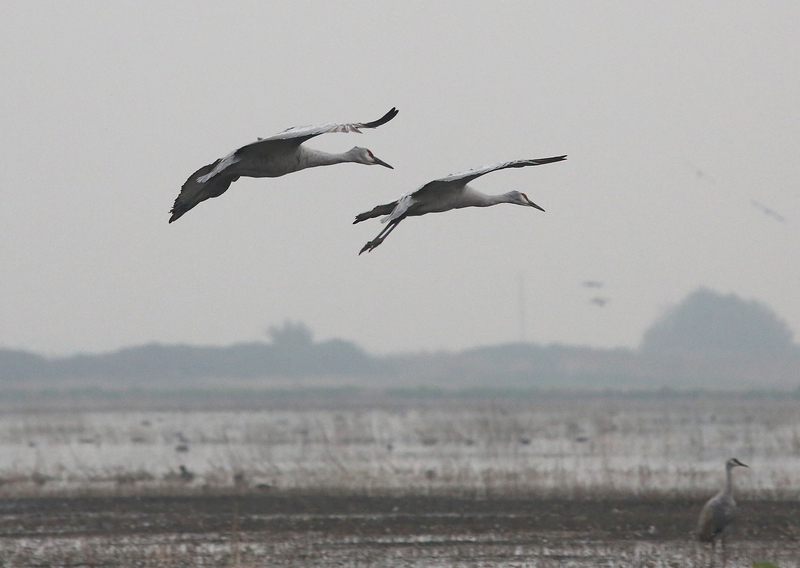 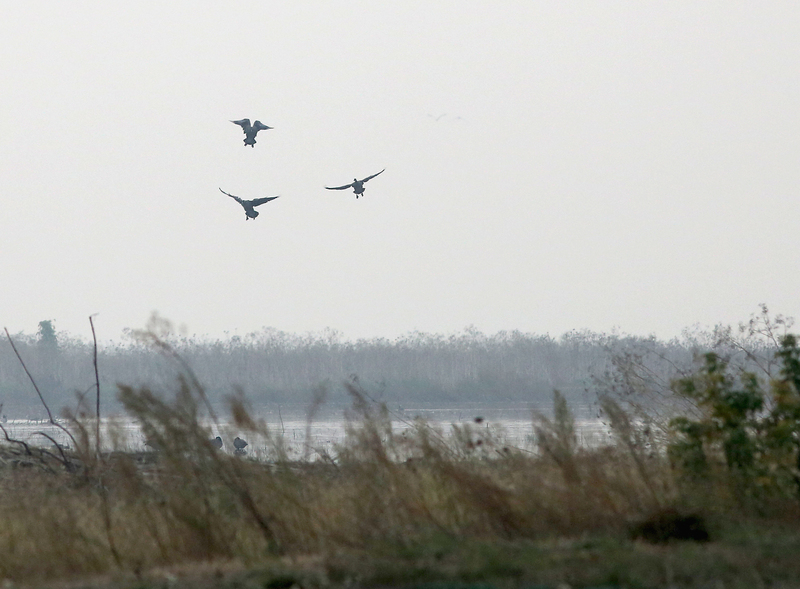 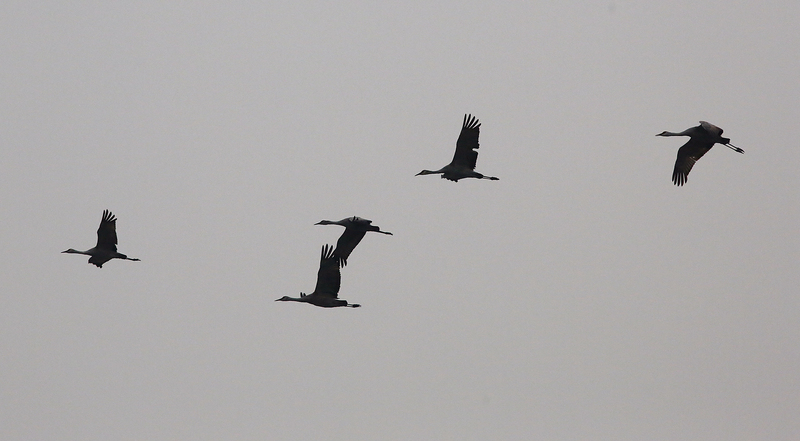 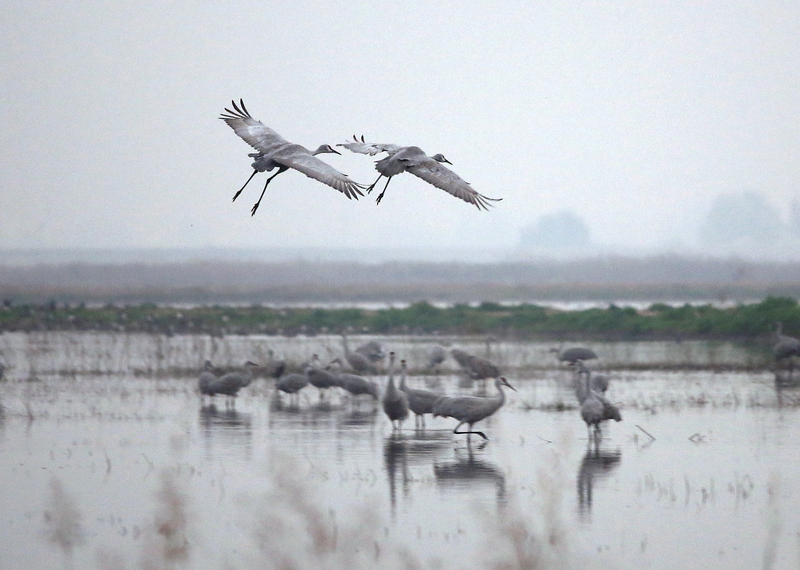 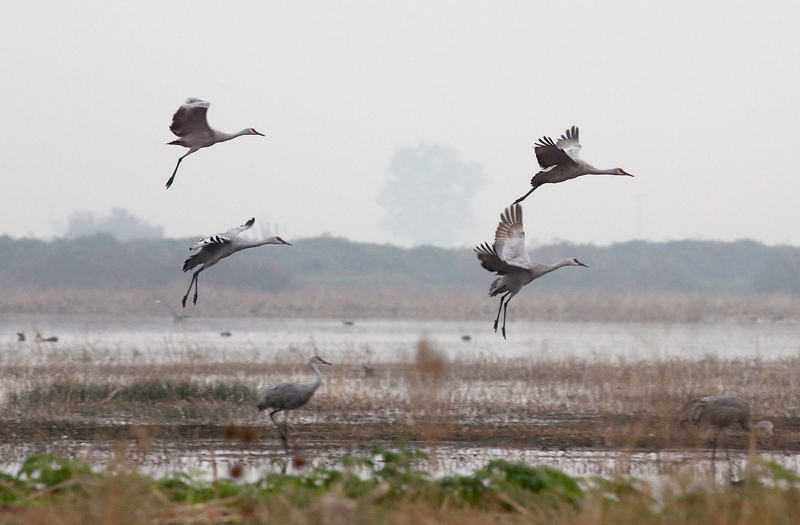 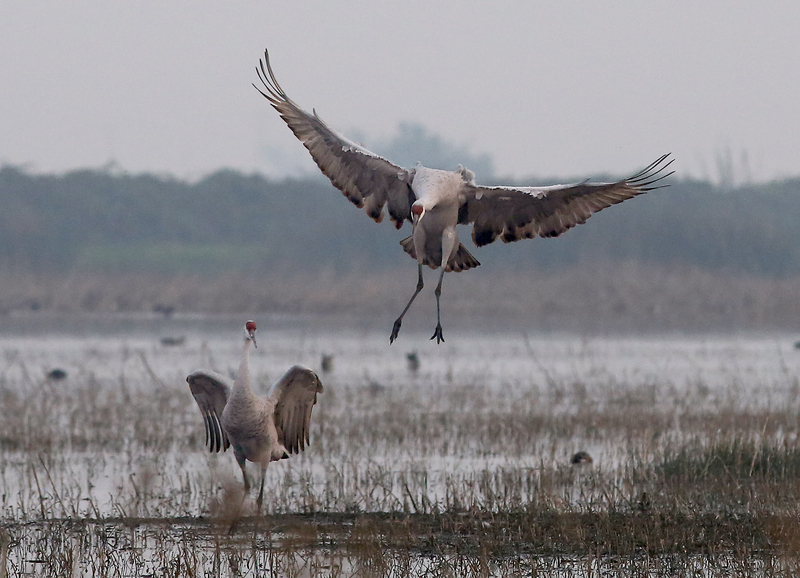 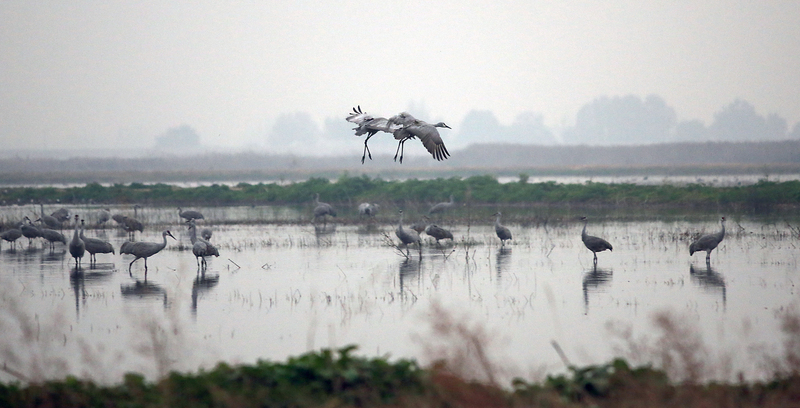 The cranes arrived against a featureless sky circling in the haze to find their roosting spot in the wetland. 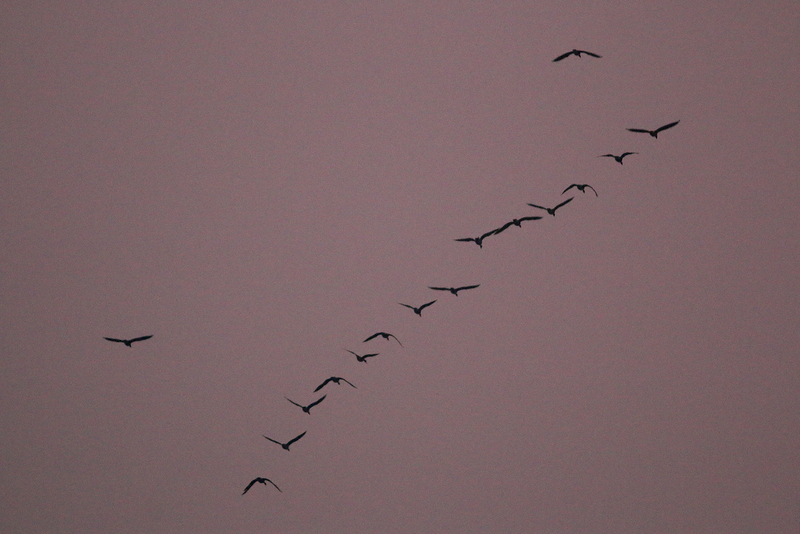 With the sun finally setting the smoke did take a warm hue as the last light was reflected through the haze. 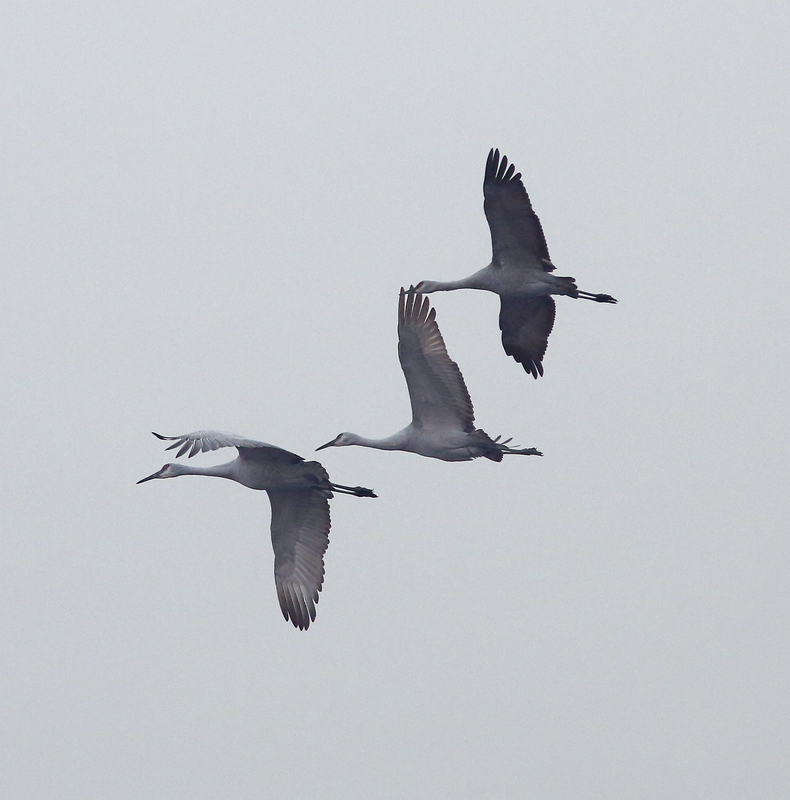 Hopefully fire crews will have this destructive under control soon and the sky will return to normal for people and cranes.